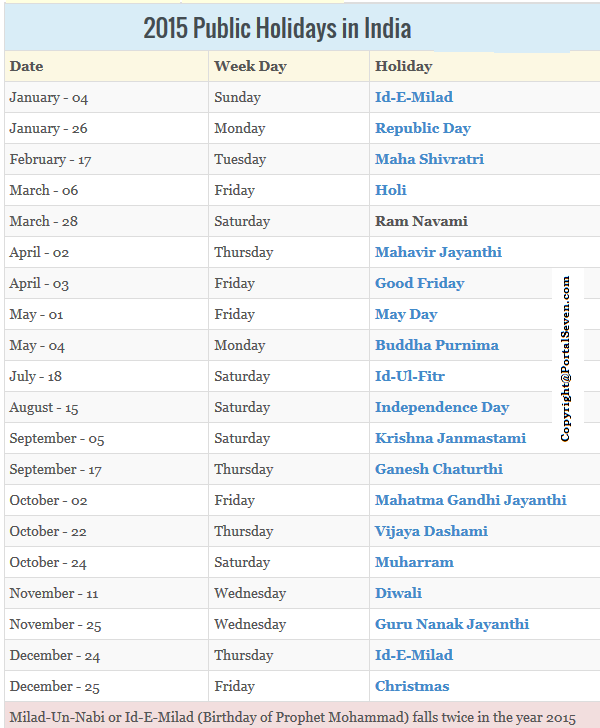 Check the complete list of 2015 National, Restricted and State holidays in India. 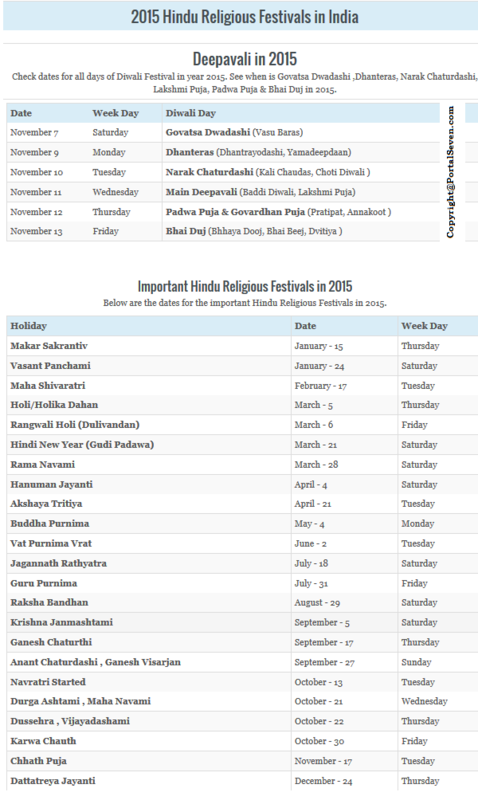 Also check important Hindu and Muslim festival dates along with Diwali(Deepavali) calendar for 2015. 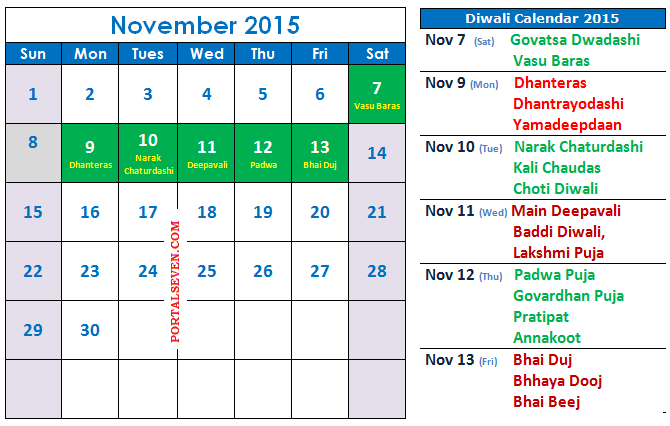 Check dates for all days of Diwali Festival in year 2015. 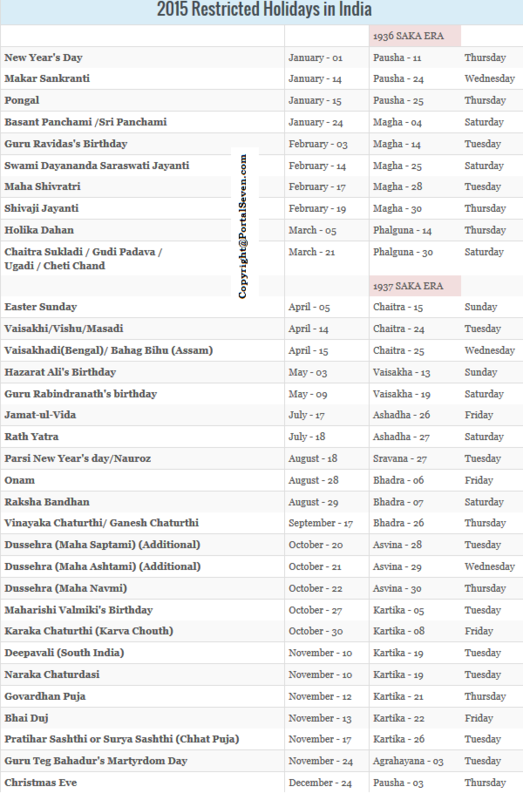 See when is Govatsa Dwadashi ,Dhanteras, Narak Chaturdashi, Lakshmi Puja, Padwa Puja & Bhai Duj in 2015. Below are the dates for the important Hindu Religious Festivals in 2015. Check the dates for the Muslim Religious Festivals in 2015.